I know... it's taken me a few months to finally get this post going. I kept meaning to start writing it, then I got all new products that I was more excited to review. But, I've finally got some pictures going, and a swatch. I've played around with the colours, so I can put this review up. As you can see in the above photo, The Nudes consist of 12 eyeshadow shades curated to create infinite looks with bold beiges, sultry sands, brazen bronzes, and over the top taupes. I had seen such a big hype around it online for months, yet never saw them in any stores. I hunted for a few months, and managed to get my hands on one from Walmart (in store) and it was the last one. I think it was a little less than $10. As many of you might know, eyeshadow palettes aren't that popular in drug stores. Yeah you can find quads, trios, or duos... but nothing is on the market with 12 shadows. And these shades work for everybody. It may be a little difficult to tell by this picture, but some of the shades have glitter/sparkle in them, and others are matte. The back of the palette even shows you which shadows you can combine for different looks. According to the packaging, there are 13 looks you can create with 12 shadows. The first show quads (3 looks) trios (4 looks) and duos (6 looks) but of course you can switch them all up and use whichever you like! When I was first playing around with this palette, I wasn't very impressed with the staying power, or pigmentation. The colours that show matte in the palette do happen to have very little shimmer in them as well. 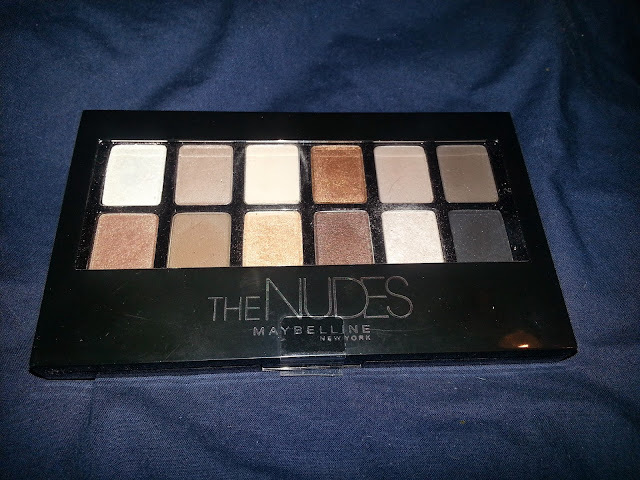 So if you don't like shimmer, this isn't the palette for you. I forgot to take a swatch with no primer. As I continued to play around with them, I remembered I have a Smashbox eye primer that I haven't used, and that I should give it a try with these shadows. And I was surprised. These shadows work much better with a primer as your base. As you can see in the swatch above, they aren't the most pigmented shades, and they all seem to have a shimmer to them. The lightest white shade (top left in the palette) barely shows up, and I'm as white as a ghost (as you can also see haha.) The darker colours have good pay off, but I have a ton of dark shadows that do the same thing already, so they might not get used as much. 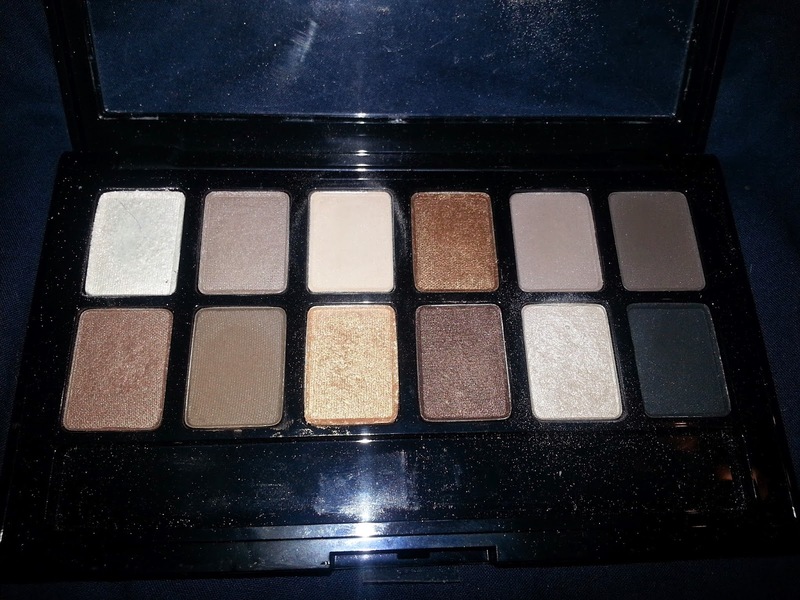 Overall, I would say this is a great palette for someone who is new with makeup, or just getting comfortable with it. 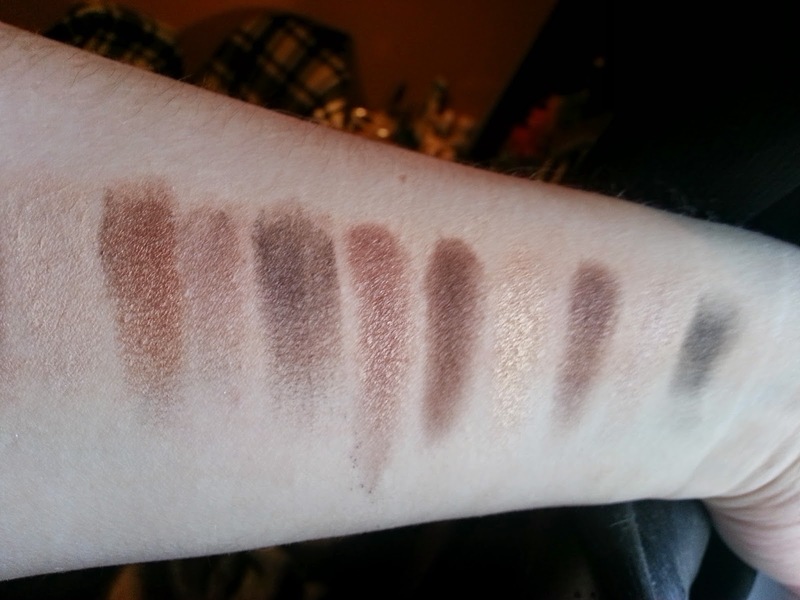 These aren't amazing shadows, but they aren't the worst I have tried. It's not crazy expensive, and the shades are really versatile. 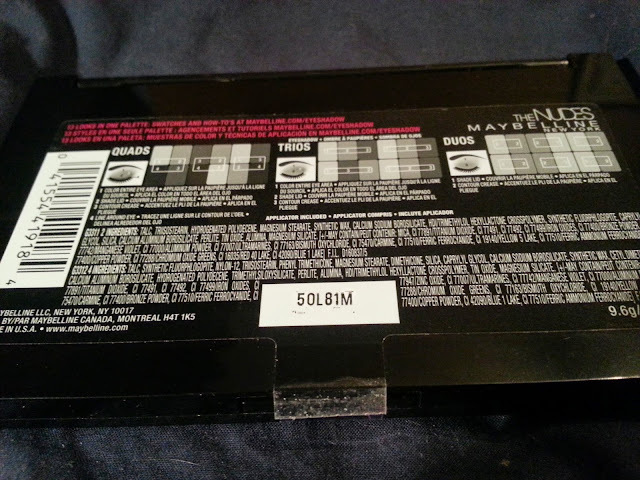 And rumour has it, Maybelline is releasing two more palettes called The Brights and The Smokes very soon!